In August 1992, when the dog days were drawing to an end, I set off to walk the county of Suffolk, in the hope of dispelling the emptiness that takes hold of me whenever I have completed a long stint of work. And in fact my hope was realized, up to a month; for I have seldom felt so carefree as I did then, walking for hours in the day through the thinly populated countryside, which stretches inland from the coast. I wonder now, however whether there might be something in the old superstition that certain ailments of the spirit and of the body are particularly likely to beset us under the sign of the Dog Star. At all events, in retrospect I became preoccupied not only with the unaccustomed sense of freedom but also with the paralyzing horror that had come over me at various times when confronted with the traces of destruction, reaching far back into the past that were evident even in that remote place. Perhaps it was because of this that, a year to the day after I began my tour, I was taken into hospital in Norwich in a state of almost total immobility. It was them that I began in my thoughts to write these pages. And so when I began to go on evening walks last fall, I found Morningside Heights an easy place from which to set out into the city. The path that drops down from the Cathedral of St. John the Divine and crosses Morningside Park is only fifteen minutes from Central Park. In the other direction, going west, it is some ten minutes to Sakura Park, and walking northward from there brings you toward Harlem, along the Hudson, though traffic makes the river on the other side of the trees inaudible. These walks, a counterpoint to my busy days at the hospital, steadily lengthened, taking me farther and farther afield each time, so that I often found myself at quite a distance from home late at night, and was compelled to return home by subway. In this way, at the beginning of the final year of my psychiatry fellowship, New York City worked itself into my life at walking pace. The book is clearly influenced by the writing of W.G. Sebald, and in many ways alludes to Sebald’s masterpiece, Austerlitz. Part of the novel takes place in Brussels, and there is even discussion of King Leopold, discussion of ancestors surviving war-ravaged Germany, passages about the Holocaust, and a number of other discrete references to Sebald’s scenery, including mention of crossing the English Channel–the opening scene of Austerlitz. I know it’s bad manners, but I find it impossible to talk about Teju Cole’s Open City without bringing up a certain dead German writer who wrote about taking walks, meeting professors, eccentrics, immigrants, and people who said things like, “I walked around, looking for an entrance, thinking of these nearby waters. Later, I would find the story recounted by the Dutch settler Antony de Hooges in his memorandum book.” The first 50 pages ofOpen City, in fact, read so much like W.G. Sebald that my ADD-addled imagination began to paste photos of funny owls and thoroughly unremarkable, vaguely European landscapes onto the pages of the book… As the book moved out of New York, it shook off a bit of the Sebaldian tone and that slow churn of significance, and moved into its own skin. Which I enjoyed. But Sebald still hung over everything and once I put the novel down, I wondered why an author would choose to create a voice with such an immediate, and, frankly, obvious influence. In the faux Louis XV bedroom, her shyness dissolved…Then we both went down together, by the side of the Baroque bed, both pushed up against its satin shams, and I pulled the linen skirt upward to her waist. A couple lay down there, in the bottom of the pit, as I thought: a man stretched full length over another body of which nothing was visible except the legs, spread and angled. In the startled moment when that image went through me, which lasted an eternity, it seemed as if the man’s feet twitched like those of one just hanged. So the novel does move in the shadow of W. G. Sebald’s work. While “Open City” has nominally separate chapters, it has the form and atmosphere of a text written in a single, unbroken paragraph: though people speak and occasionally converse, this speech is not marked by quotation marks, dashes, or paragraph breaks and is formally indistinguishable from the narrator’s own language. As in Sebald, what moves the prose forward is not event or contrivance but a steady, accidental inquiry, a firm pressurelessness (which is to say, what moves the prose forward is the prose—the desire to write, to defeat solitude by writing). The first few pages of “Open City” are intensely Sebaldian, with something of his sly faux antiquarianism. [T]he novel soon begins to throw off its obvious influences. The prose relaxes into a voice rather than an effect, and it becomes apparent that Cole is attempting something different from Sebald’s project. Eschewing the systematic rigor of Sebald’s work, as well as its atmosphere of fatigued nervous tension, Cole has made his novel as close to a diary as a novel can get, with room for reflection, autobiography, stasis, and repetition. This is extremely difficult, and many accomplished novelists would botch it, since a sure hand is needed to make the writer’s careful stitching look like a thread merely being followed for its own sake. This is less an homage to W. G. Sebald’s novel Rings of Saturn than a wholesale picking of his literary pocket. I found it difficult to read a single page without having to put the book down in mortal outrage because of each passage’s semblance to a similar passage, done better, in Sebald. I don’t know how people aren’t taking to the streets. My memory of the fourteen stations which the visitor to Breendonk passes between the entrance and the exit has clouded over in the course of time, or perhaps I could say it was clouding over even on the day when I was in the fort, whether because I did not really want to see what it had to show or because all the outlines seemed to merge in a world illuminated only by a few dim electric bulbs, and cut off forever from the light of nature. Even now, when I try to remember them, when I look back at the crab-like plan of Breendonk and read the words of the captions – Former Office, Printing Works, Huts, Jacques Ochs Hall, Solitary Confinement Cell, Mortuary, Relics Store and Museum – the darkness does not lift but becomes yet heavier as I think how little we can hold in mind, how everything is constantly lapsing into oblivion with every extinguished life, how the world is, as it were, draining itself, in that the history of countless places and objects which themselves have no power of memory is never heard, never described or passed on. Histories, for instance, like those of the straw mattresses which lay, shadow-like, on the stacked plank beds and which had become thinner and shorter because the chaff in them disintegrated over the years, shrunken – and now, in writing this, I do remember that such an idea occurred to me at the time – as if they were the mortal frames of those who once lay there in that darkness. I also recollect now that as I went on down the tunnel which could be said to form the backbone of the fort, I had to resist the feeling taking root in my heart, one which to this day often comes over me in macabre places, a sense that with every forward step the air was growing thinner and the weight above me heavier. (p 29). Cole is his own best enemy. Cole is an accomplished and important writer and it bears restating that Open City is a unique, original novel, albeit one borne on Sebald’s powerful literary shoulders. I do not believe that Open City would have been birthed without the benefit of Sebald’s prodigy. On the other hand, you have to be a really good writer and thinker to do what Cole did with Open City. I do fault Cole on one point: Cole should have given Sebald credit in the book and not look like he waited to be prompted by alert readers before showering him with encomiums. What Cole did is perhaps a more intense version of Ola Rotimi’s adaptation of Oedipus Rex in The Gods are not to Blame. Rotimi is careful to give due credit in his play. This essay would have been unnecessary if Cole had given Sebald credit in his book. Again, in virtually all of Cole’s works, the Sebald influence is everywhere, it is hard to miss, and it is obvious that Cole has been studying Sebald for a long time. There are little things; the grainy black and white photos in Every Day is for the Thief now remind me of those in Sebald’s books. And all of Cole’s writing today have been travelogues, what James Wood refers to as flâneur. It strikes me that if there is a resonance between Sebald’s work and your own it’s what you’ve just described. A lot of reviewers have latched onto stylistic similarities. But it seems to me it’s far more the legacy of traumatic events connecting you than questions of style. W.G. Sebald’s death in a car crash in 2001 was a great loss to literature; he was in rich form, and we could have expected several really fine books in the years to come. We could hardly, however, expected that a literary descendant would have appeared in 2011 in the form of a part-Nigerian ‘professional historian of Netherlandish art’ writing about the perambulations of a part-Nigerian psychiatric doctor as he is wandering around the island of Manhattan. But Sebald is the influence that Teju Cole’s first novel Open City inevitably evokes. It’s not that Cole doesn’t have his own voice (through his narrator Julius) or that his book isn’t an achieved work of art in its own right. It’s just that some elements are inescapably ‘Sebaldian’: the melchancholy shimmer of its beautiful prose, the apparently freewheeling associations in the mind of the narrator, the fascination with loss and the layerings of personal, cultural and architectural history. ‘Novel’ also seems a crude label, as it does for The Rings of Saturn and Austerlitz. And the narrator himself is a tricky figure – in Sebald, often slipping behind veils of irony, in Open City an altogether more ambiguous character than his highly-educated surface at first suggests. This testimonial in itself is a major achievement for Cole, not many writers will ever have that honor. Ironically, he has done more for Sebald’s works than Sebald could have hoped to do in his lifetime. Cole has established himself as a great voice and an important gifted writer; on balance, given his creative adaptation of Sebald’s works as a vehicle for his own unique ideas, it is a testimony to the force of his voice that he has come away largely unscathed from the grumblings about his relationship with Sebald. Lesser thinkers would be doomed today. I am a personal admirer of Teju Cole, a groupie even, he has been a great griot and enriched literature as we know it, for that we must appreciate and honor him. Cole will be with us for a long time stoking the embers of burning boundaries, cunningly testing the limits of what is acceptable in literary discourse. I don’t know of any writer in recent times that has garnered as much critical attention as Cole. He has done incredibly well and he deserves the accolades. He does need to come out from under Sebald’s brooding voice. For now, judging by his recent essays, it will take hours of therapy to wean him from Sebald’s shadows. Cole has a flair for mild drama. Reminiscent of the mysterious nocturnal visitor to Edgar Allan Poe’s grave, he recently wrote a movingessay on his visit to Sebald’s grave. No word on whether he left flowers and a half-empty bottle of cognac. And oh, did you know that Teju Cole is the nom de guerre for Yemi Onafuwa? 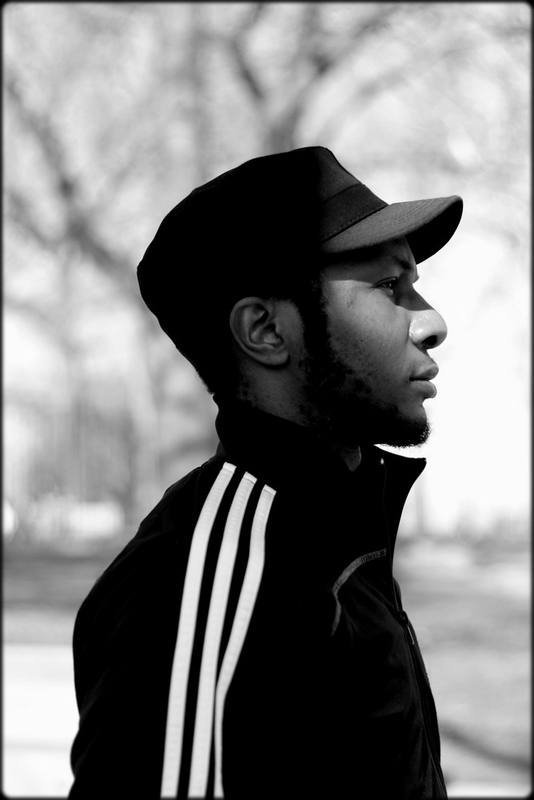 Find out from Margaret DeRitter in this awesome essay about the writer also known as Teju Cole. Ikhide R. Ikheloa is a literary critic, writer and columnist, and can be reached at xokigbo@yahoo.com. He blogs at http://xokigbo.wordpress.com/ . You can follow him on Twitter at @Ikhide .